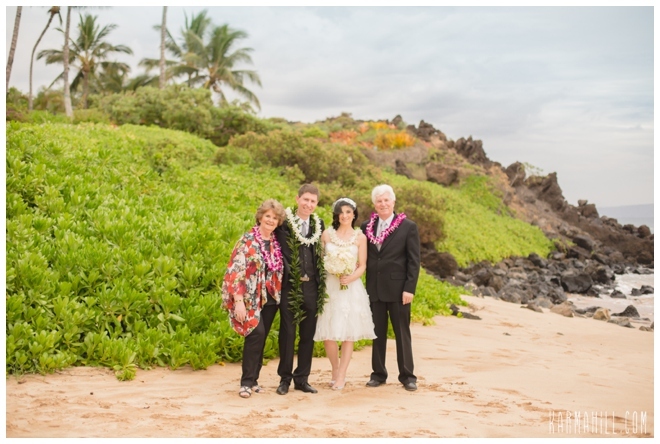 Deborah and John's wedding was the day after Hurricane Iselle touched down in Hawaii, we all were not sure if we were going to have their wedding as scheduled, but the Hawaiian gods were kind to us and we were able to have their wedding on the date they wanted, phew! 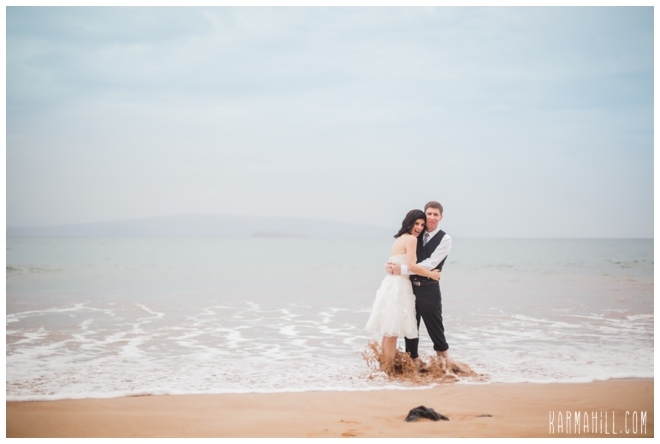 Sometimes with our near perfect weather all year round, we forget that mother nature is stronger than us and has a mind of her own! 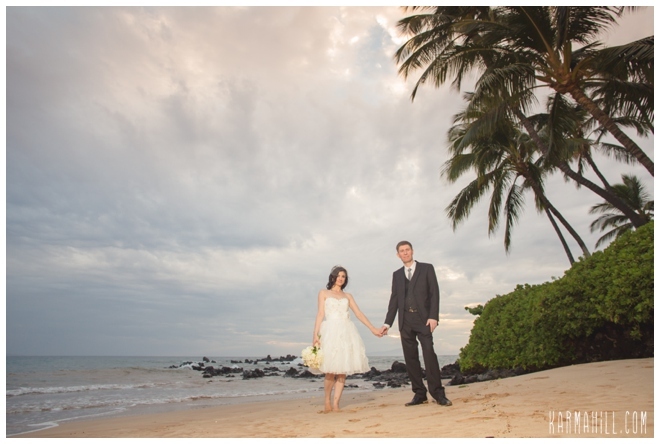 It actually turned out to be a lovely evening with a soft cloud cover that gave the photos a soft light with a vintage feel. 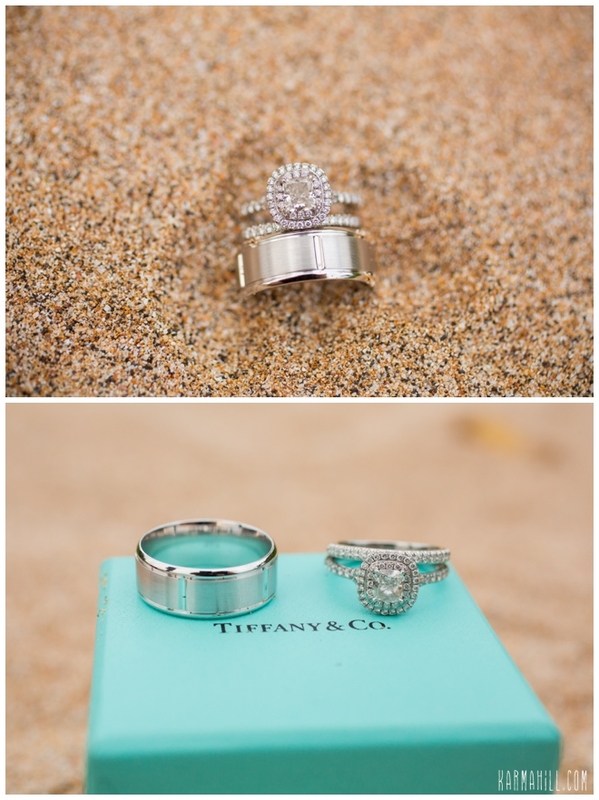 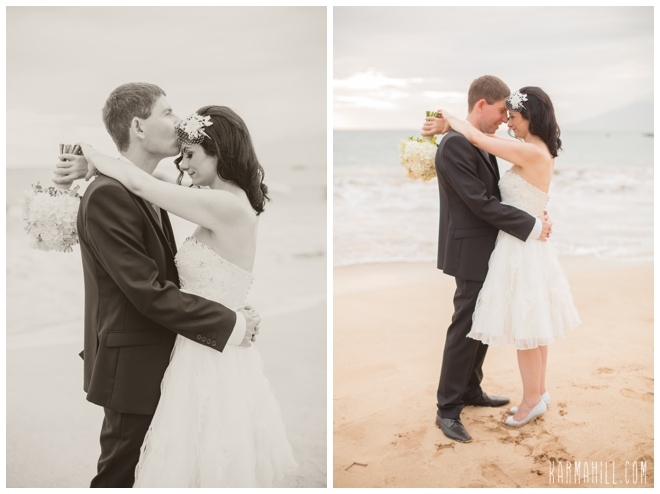 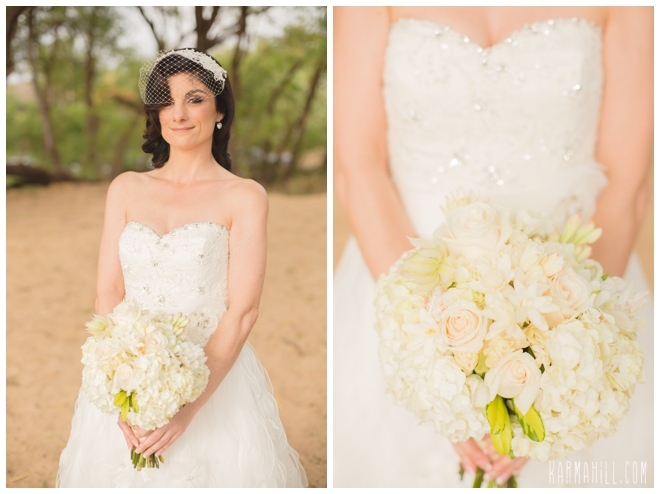 It was perfect for this couple with their classic look! 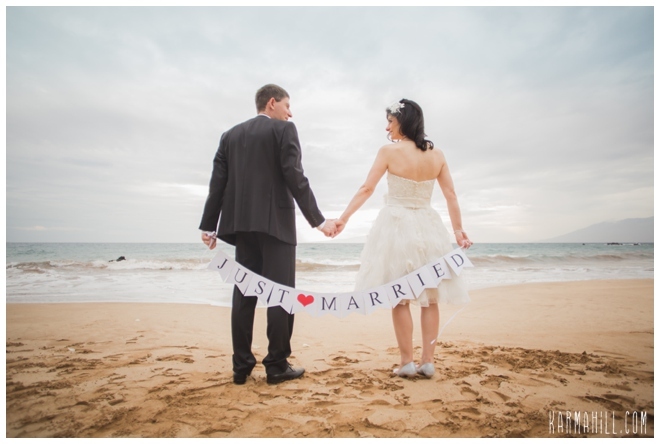 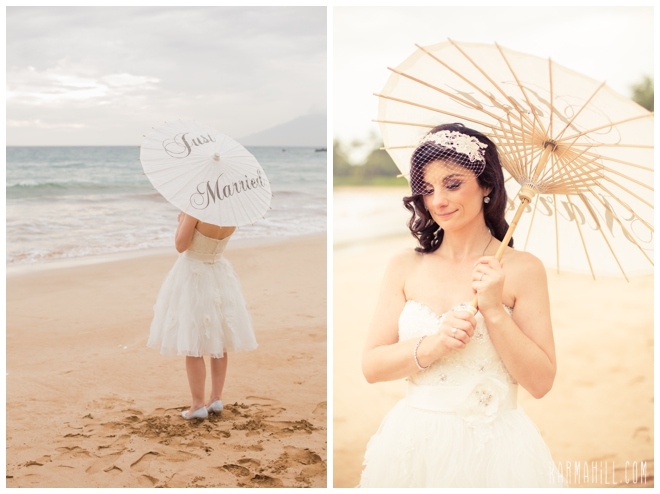 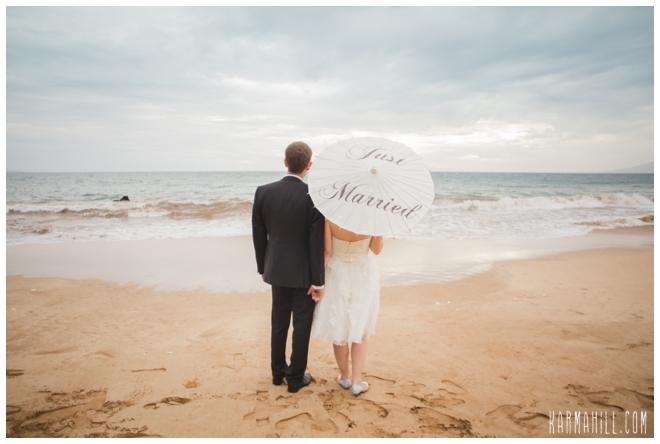 We had fun with Deborah and John and their adorable props, the umbrella was too cute with Deborah's tea length dress. 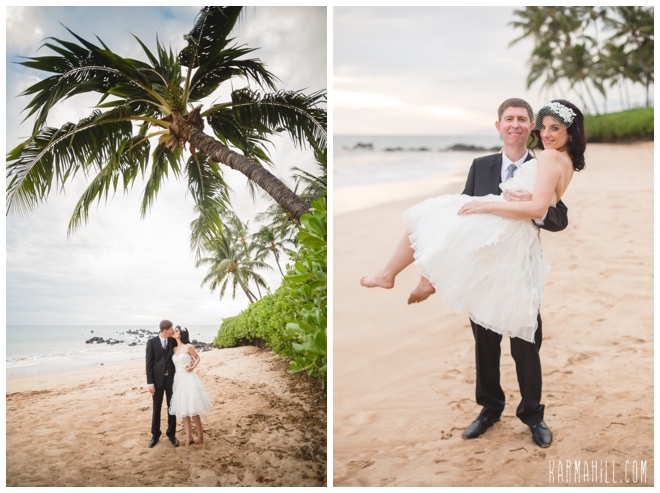 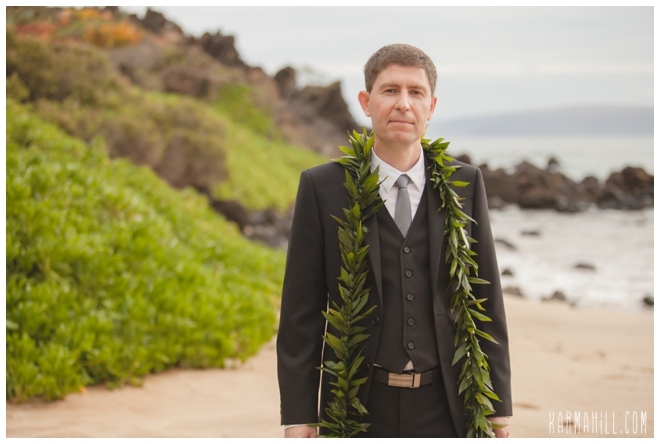 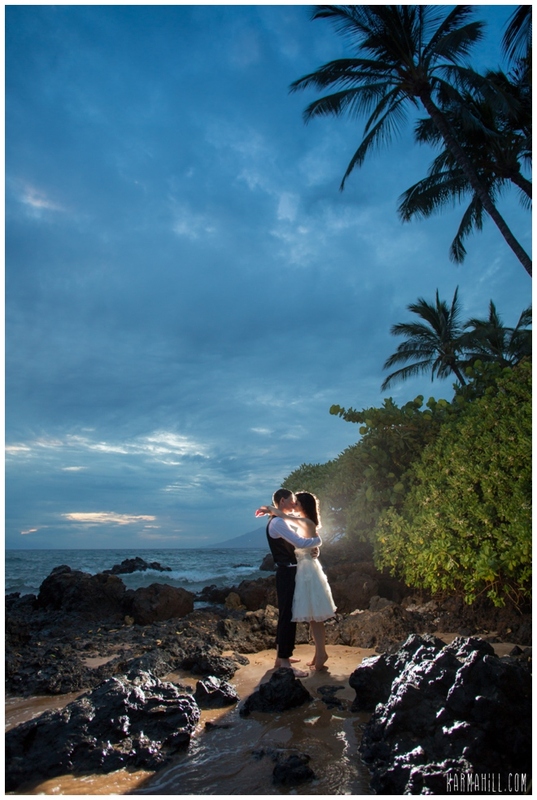 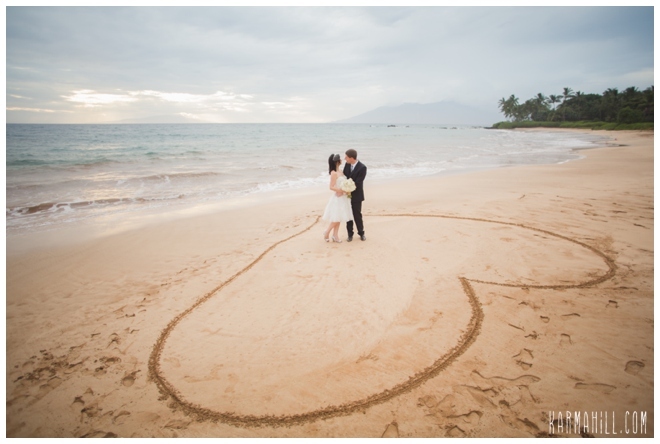 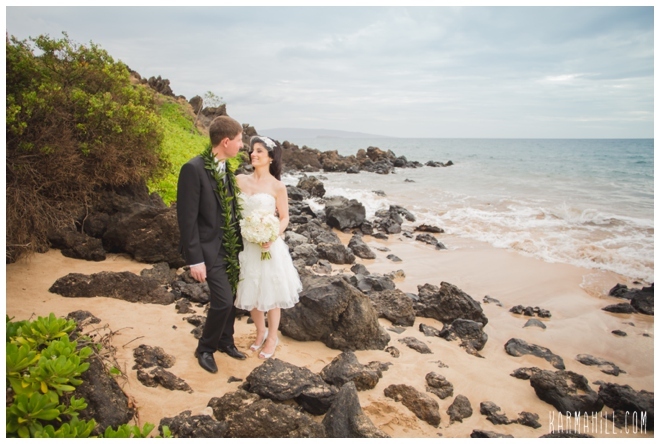 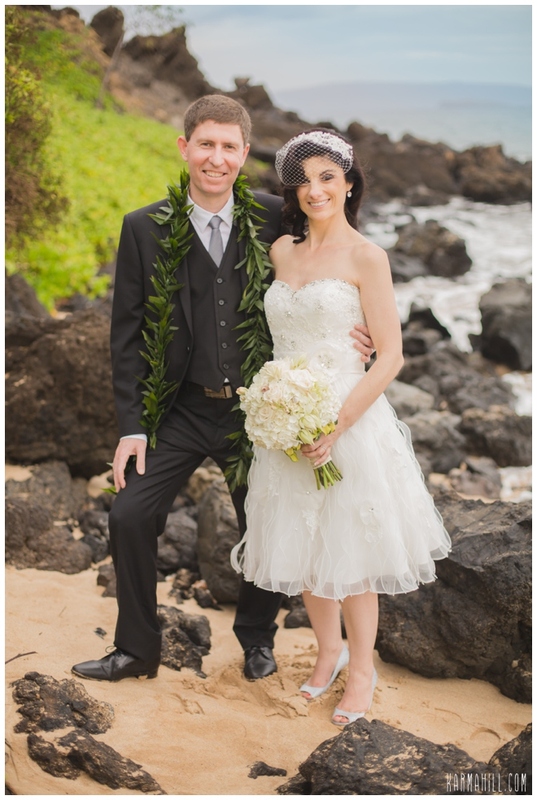 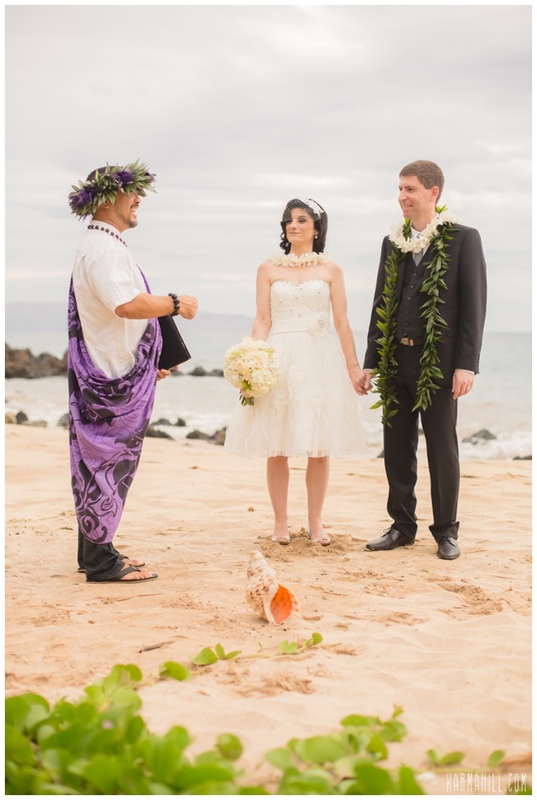 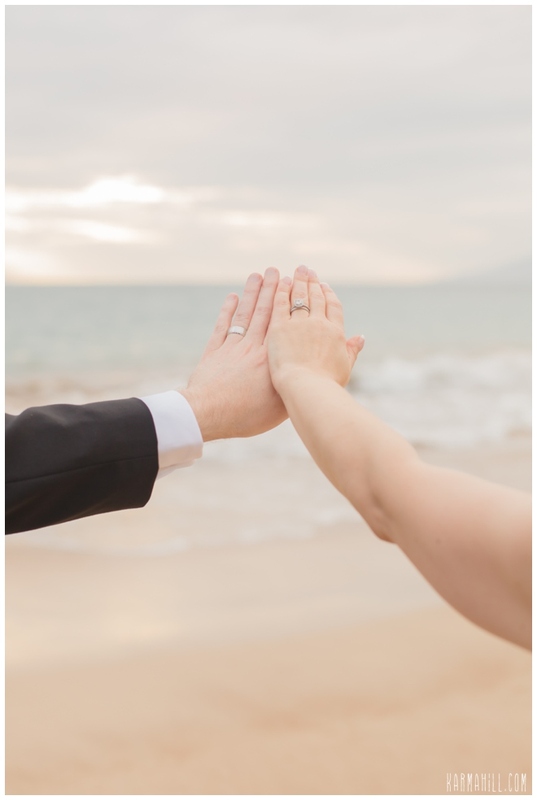 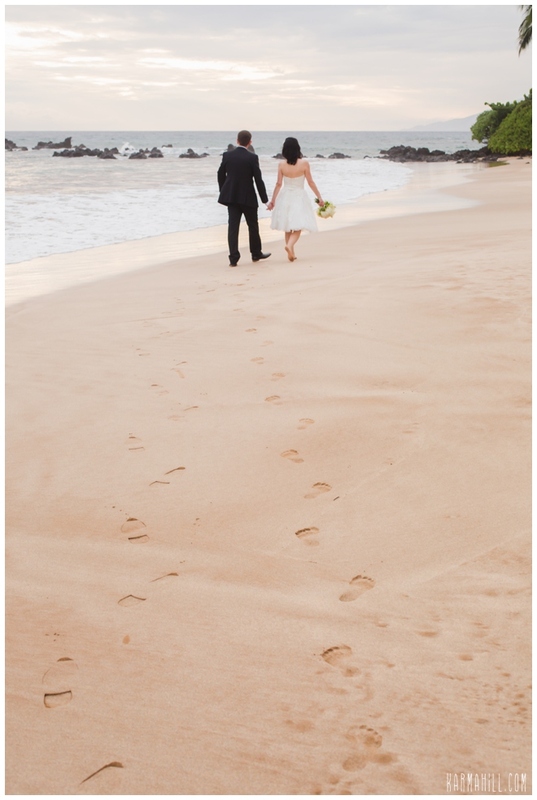 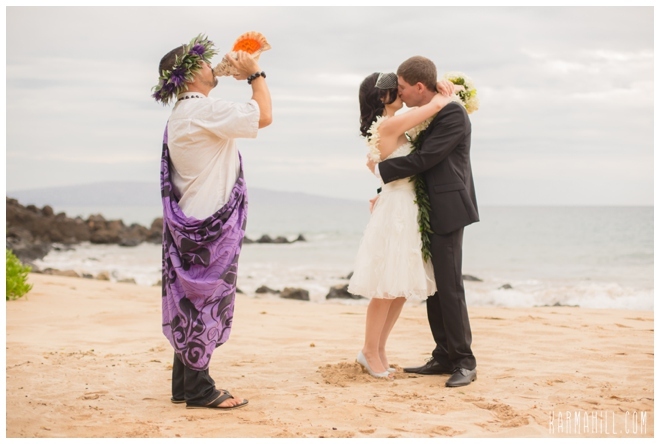 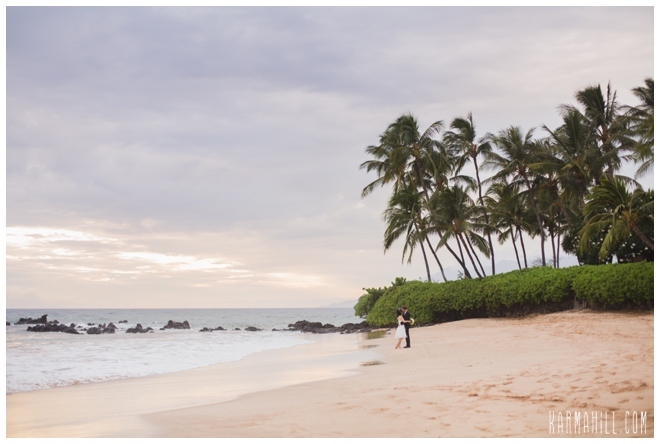 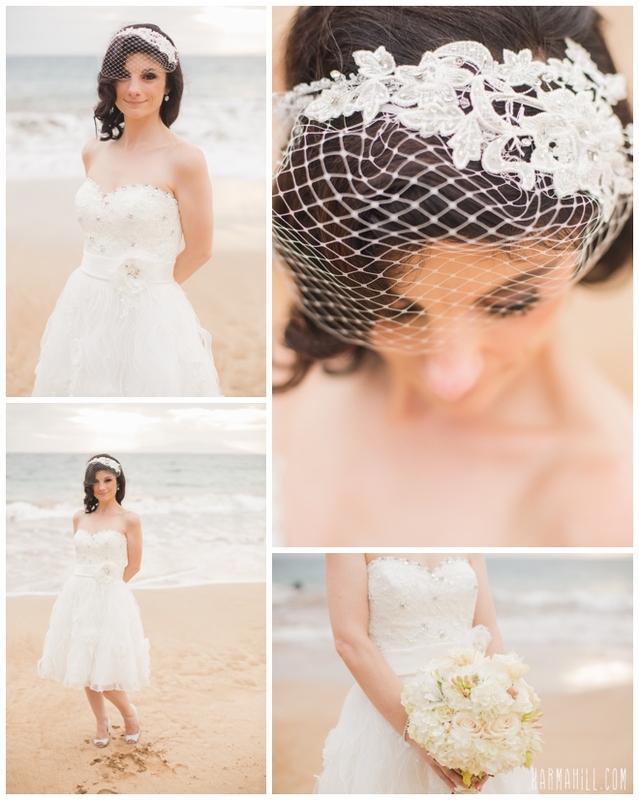 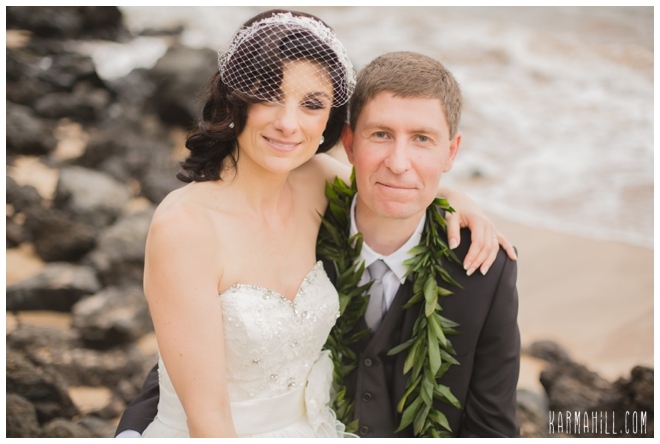 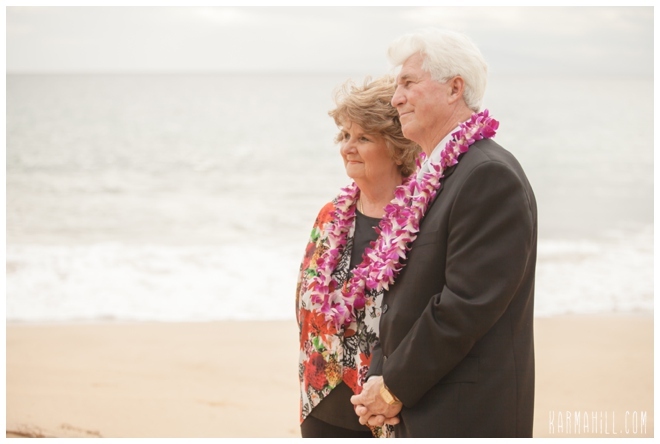 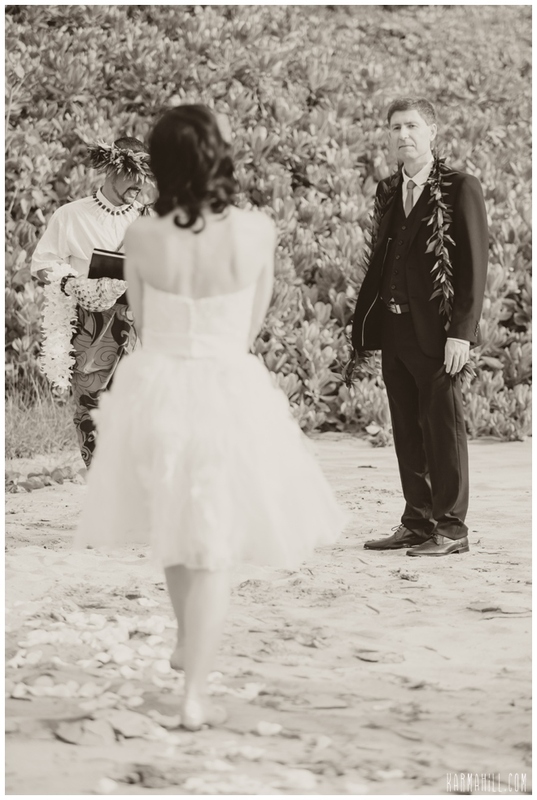 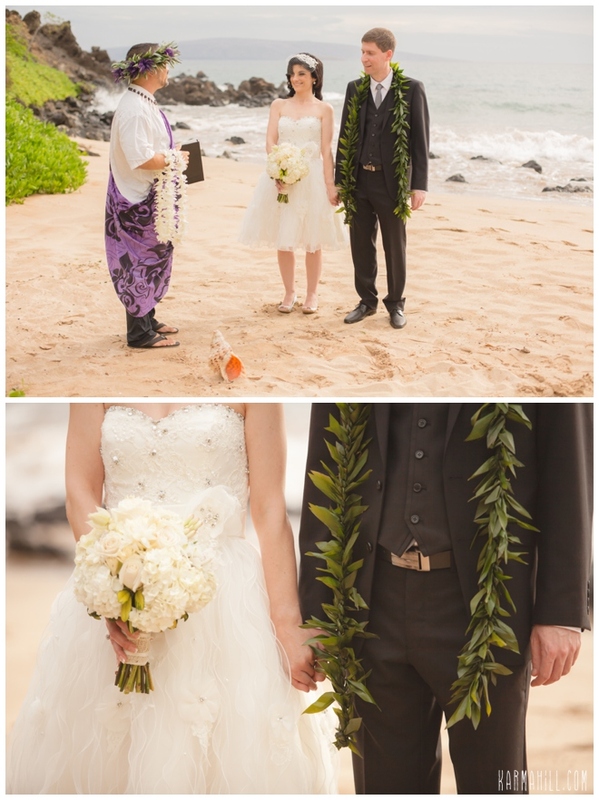 Mahalo Deborah and John for choosing us for your Maui Wedding Package, we were so happy to be a part of your wedding day!